Vice President Mike Pence on Wednesday defended President Donald Trump’s tactic of shutting down the federal government in a bid to gain leverage for border wall funding and said he could not guarantee that another closure will be averted next week. Trump’s demand for $5.7 billion in funding for his long-promised border wall resulted in a 35-day partial government shutdown that ended Jan. 25. A deal struck between Trump and congressional leaders is keeping the government open until Feb. 15 while House and Senate negotiators try to reach a compromise on border-security funding that Trump will sign. 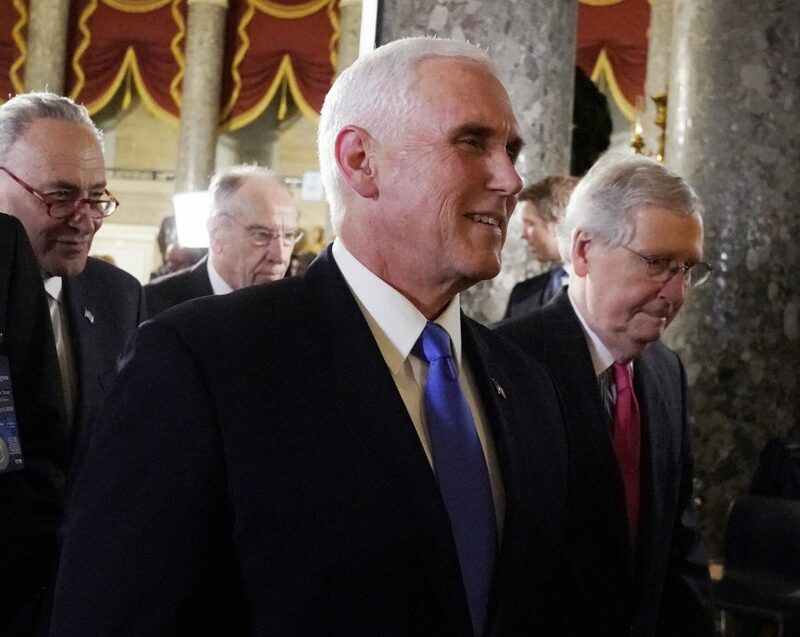 Pence, who appeared on CBS following Trump’s State of the Union address Tuesday night, said the White House agreed to reopen government for three weeks after talking to “rank-and-file” members of the House and Senate. Trump has called the ongoing congressional negotiations a “waste of time” and repeatedly raised the prospect of declaring a national emergency that could allow him to direct the military to build a border wall without congressional consent. Such a move would almost certainly prompt a court challenge and several leading Republicans have cautioned against it. Asked if he could guarantee that there won’t be another shutdown after Feb. 15, Pence said he could not. In a broadcast appearance on Wednesday, Senate Minority Leader Chuck Schumer, D-N.Y., said a deal could be struck among congressional negotiators if Trump stays out of the process.